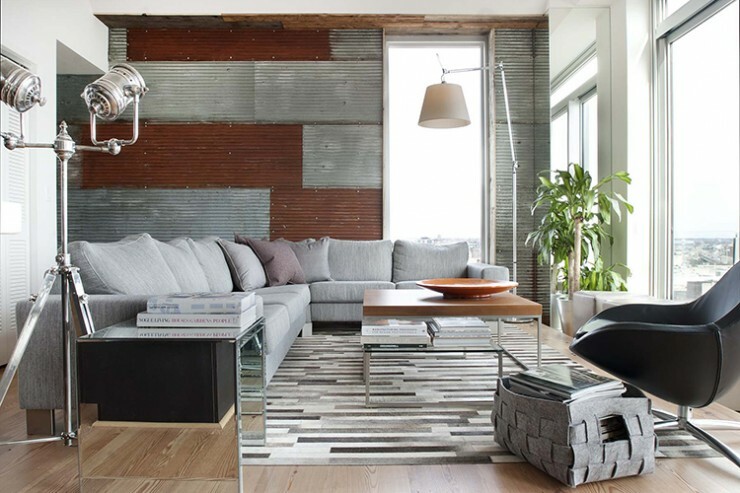 Urban industrial interior by Groundswell. 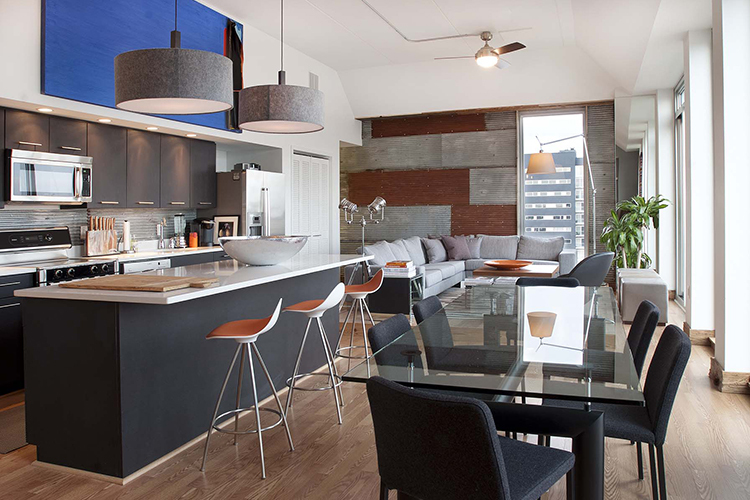 The condo, a clean-lined contemporary penthouse in Philadelphia’s Northern Liberty neighborhood, was too bare, and the detailing was boring. 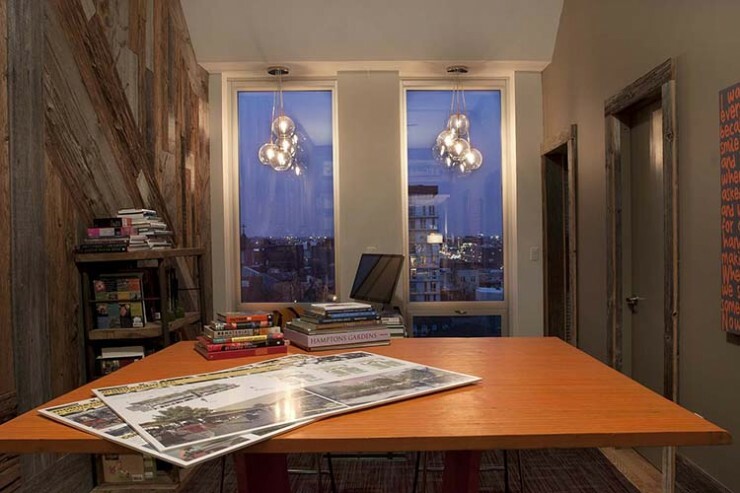 To meet the needs of the owner, a single architect, one of the two bedrooms was opened up and turned into an office and lounge. 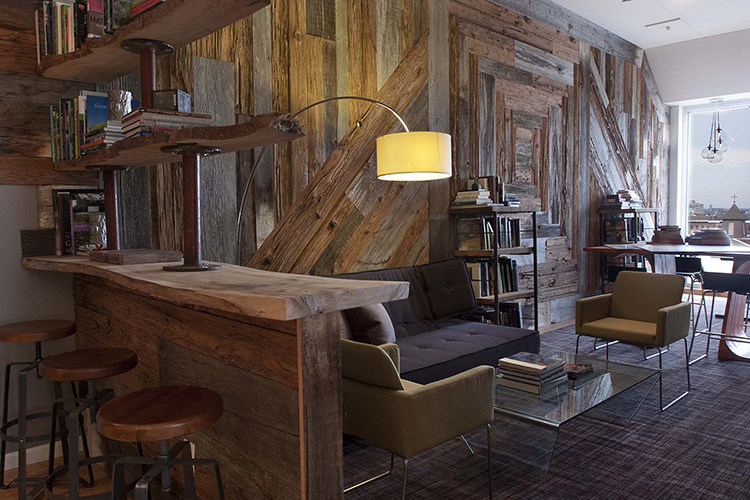 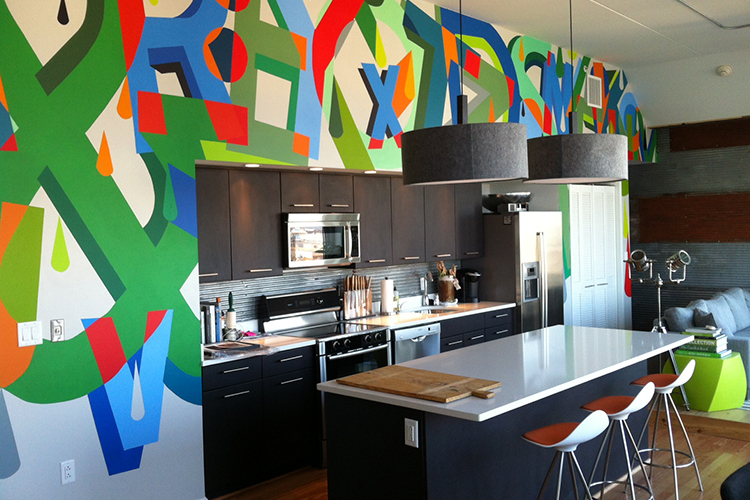 Groundswell’s specialty, reclaiming and repurposing, came into play on the walls and through the furnishings. “We wanted to balance out the streamlined contemporary style with some rural/industrial elements,” says designer David Fierabend. “Our first question as we approach a project is always, What can we reuse?” In the main living area, galvanized metal from a chicken coop roof adds horizontal bands, rusty patina and an industrial edge to one end of the condo. 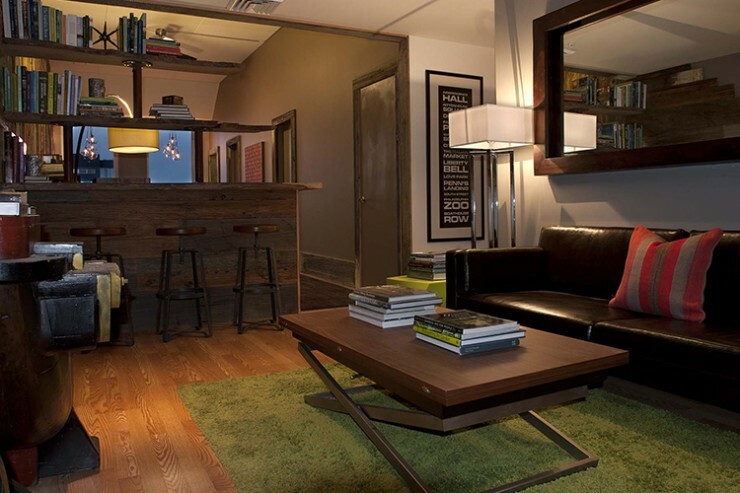 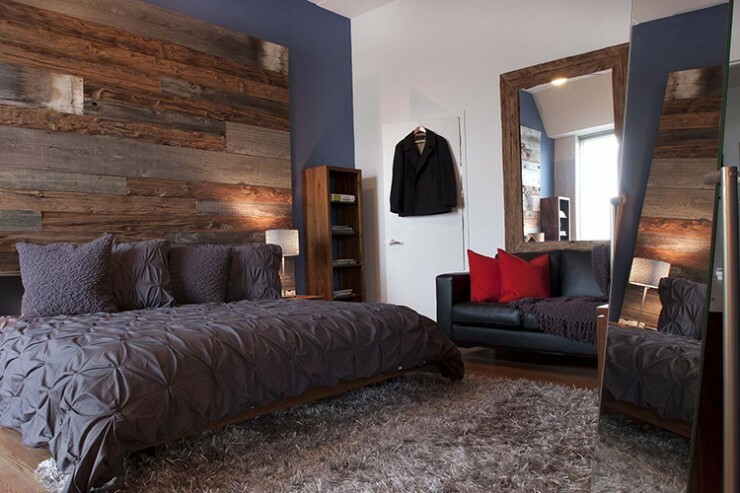 Individual moments demonstrate the versatility of Groundswell’s design team. The team includes local artisans – stonemasons, painters, metalworkers – who help us craft spaces of singular beauty fit to your lifestyle.